This is such a fun game for kids to play at church. 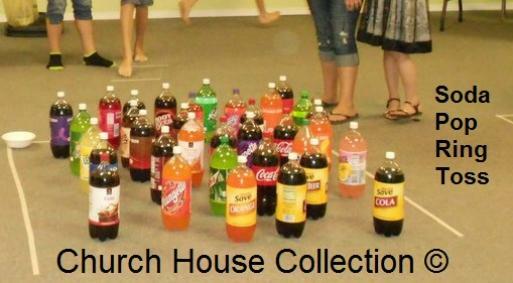 All you have to do is set up a bunch of soda pops and have the kids get in line. Put some masking tape on the floor to sit the pops in if you want. 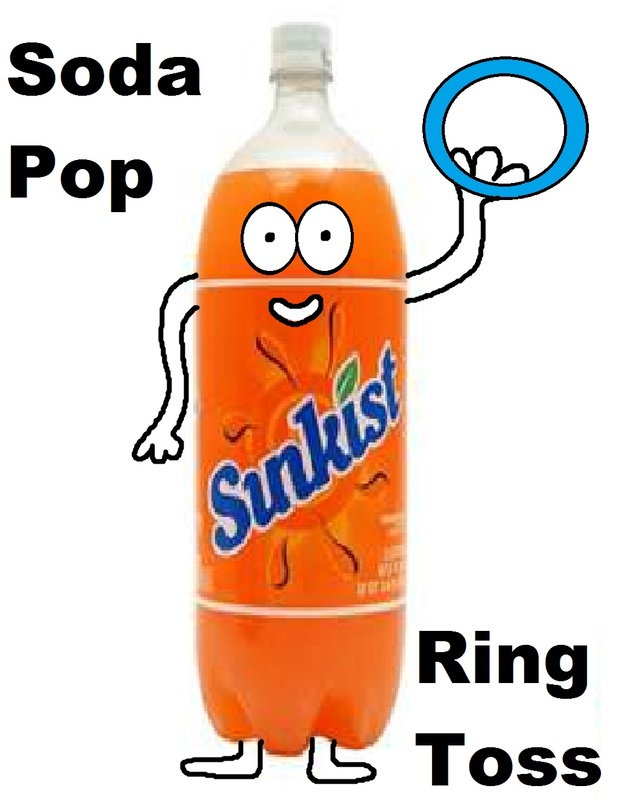 Have the child try to toss a ring around the top of the soda pop to win it. The kids always have a blast playing this.You could do these for a fall festival, VBS, or for a youth party. We used glow in the dark bracelets that you buy from Walmart to have the kids toss on the pops. These were pretty neat and they were glowing so that was double neat! You could also make a display board and print the soda pop ring toss template out and tape it to the board. Stand the board up next to the soda pop ring toss game.